The WJC was established in 2015. In the four years we have been operating, we have helped to shut down some significant criminal networks. Since 2016, as a result of our intelligence and undercover operations, and in co-operation with Malaysian, Indian and Vietnamese police and wildlife authorities, 89 traffickers have been arrested and 12 major trafficking networks involved in the supply of ivory, rhino horn, pangolin scales, turtles and tortoises and tigers have been disrupted. These law enforcement efforts have led to 18 convictions, with a further 28 cases pending in court. In 2017, as a direct outcome of our work, 25 high-level traffickers were arrested, a further 88 traffickers were identified, and nine trafficking bank accounts confirmed. All our research data, some from investigations that took more than two years to complete, was delivered to governments or law enforcement authorities in India, Malaysia, Lao PDR, Viet Nam, Mozambique, China and Bangladesh. We also produced two substantial Case Files, for the governments of Viet Nam, Lao PDR and China, identifying the trafficking of over USD 30 million in ivory, rhino horn and tiger body parts such as skin, claws, teeth canines, whiskers and bones. The arrests and Case Files showed here represent only some of our investigations, some of which may span for over two years. We are currently running a number of ongoing operations that cannot be mentioned for security reasons. Arrest of 1 high-level trafficker in India – 280 tortoises recovered by authorities. Matter still before the courts. Arrest of 4 high-level traffickers in India – 64 turtles and tortoises recovered. Matter still before the courts. Arrest of 2 high-level traffickers in Malaysia – 18 turtles and tortoises recovered. Arrest of 4 traffickers in India – several hundred turtles and tortoises recovered. Matter still before the courts. Arrest of 1 high-level trafficker in Malaysia – 55 turtles and tortoises recovered. Convicted and sentenced to 2 years’ imprisonment. 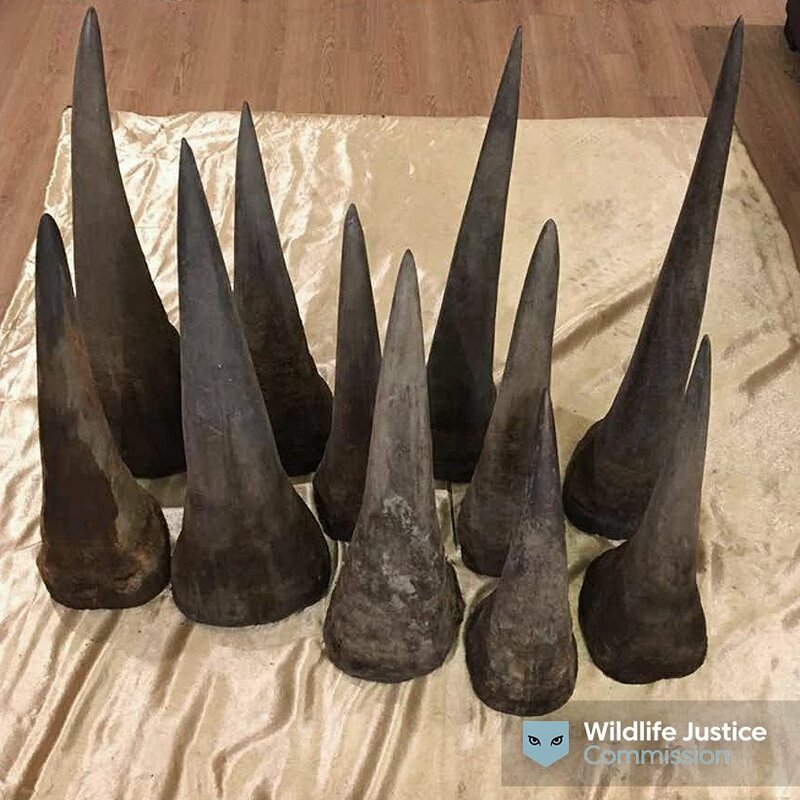 Arrest of 1 high-level trafficker in Viet Nam – 18 rhino horns recovered. Offender later convicted and sentenced to 18 months’ imprisonment. Arrest of 3 high-level traffickers in India – 270 turtles recovered. Matter still before the courts. Arrest of 3 high-level traffickers in Mozambique – 11 ivory tusks, worked ivory, leopard and lion parts seized. Matter still before the courts. 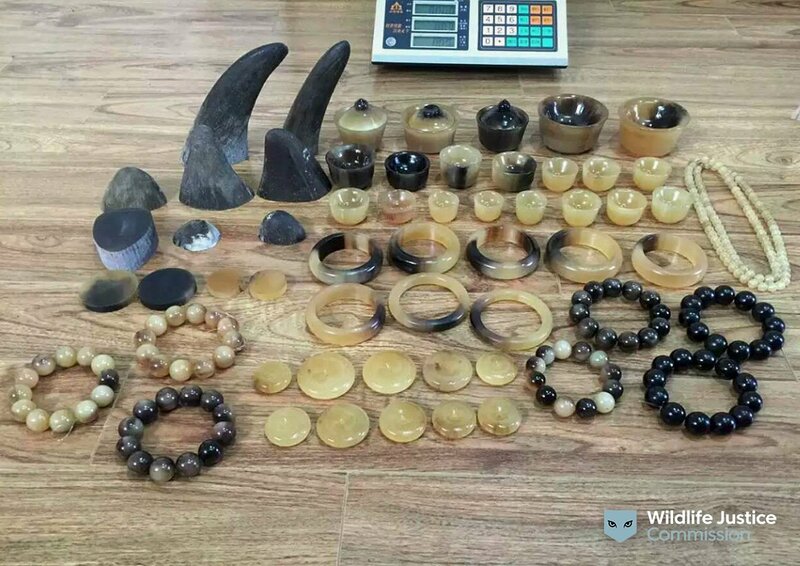 The WJC served a Case File on the governments of Lao PDR and China outlining the criminal activities of 31 individuals responsible for trafficking approximately USD 16 million in ivory, rhino horn and tiger parts. Arrest of 1 high-level trafficker (government official) in Malaysia – 24 kg of ivory seized. Matter still before the courts. Arrest of 5 high-level traffickers in Bangladesh – Working in cooperation with the the Bangladeshi authorities and INTERPOL, over 600 turtles and tortoises were recovered and major safe house used by several Indian trafficking networks shut down. Matter still before the courts. During a 10-day deployment in an African country WJC undercover operatives collected intelligence on 27 wildlife traffickers. This information was provided to local authorities. 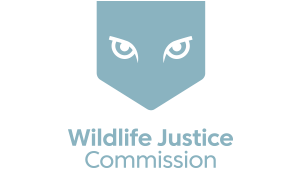 The WJC served a Case File on the governments of Viet Nam and China outlining the criminal activities of a network of 30 individuals responsible for trafficking in approximately USD 15 million in ivory and rhino horn. During this investigation, nine bank accounts used in the laundering of proceeds of the trafficking were identified and provided to the relevant authorities. 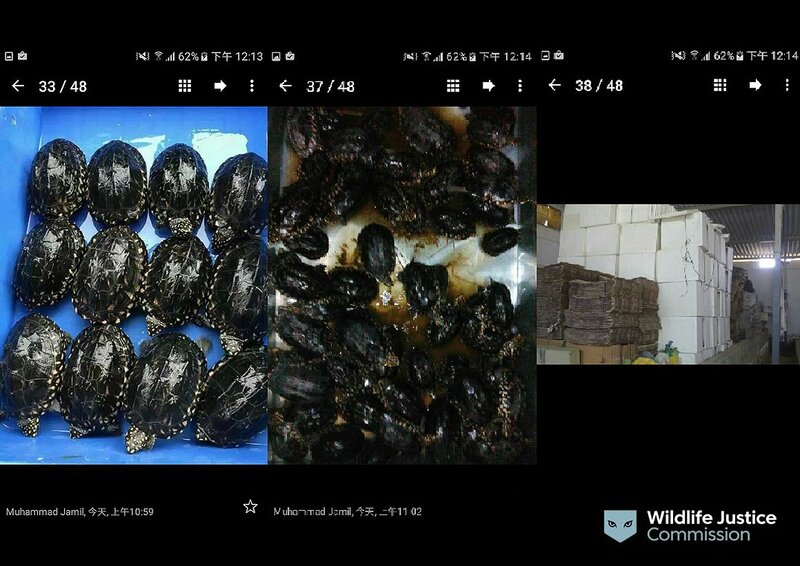 The work of Indian, Bangladeshi, and Malaysian authorities, supported by the WJC, had a major impact on the trafficking of freshwater turtles and tortoises out of South Asia. Networks that have previously operated in the shadows were identified and dismantled and have now become fragmented. Significant intelligence has been collected on how they operate. The WJC continues to collaborate with authorities to stop the trafficking of these critically endangered species.